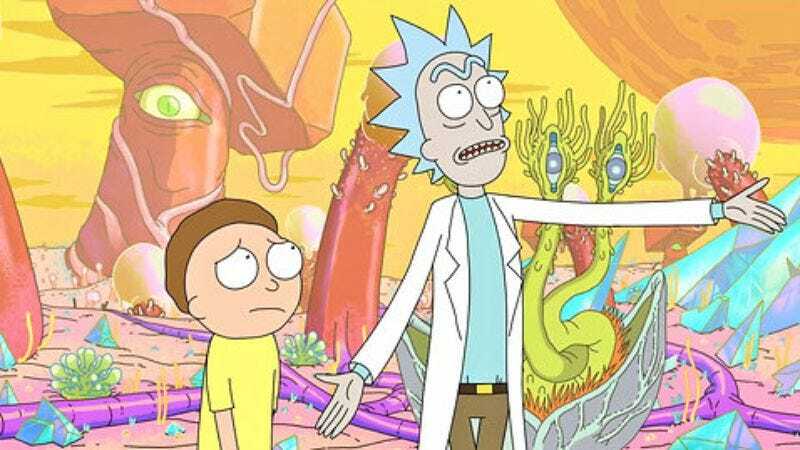 In yet more news suggesting that getting dumped by Community was the best thing that ever happened to him, Dan Harmon has sold his animated series Rick And Morty to Adult Swim, landing a 10-episode order to start. The half-hour cartoon about a brilliant inventor and his dumbass grandson will premiere in late 2013, according to its co-creator Justin Roiland, making for just one of many irons Harmon currently has in the fire—including shows for Fox and CBS, plus the stop-motion animated film he's working on with Charlie Kaufman. It's like when your girlfriend breaks up with you, and then suddenly the magic combination of being marked as a guy worthy of relationships and girls' innate tendencies toward pity gets you a bunch of dates. And then you drive past the Sony lot with your new show-woman in a convertible while blasting Van Halen's "Panama," then peel out in front of their dumbfounded face. Yes, it's just like that.